I had the pleasure to photograph the wedding of Amy Lowell Arnold and Jonathan White Keljo at DeLille Cellars and their beautiful grounds in Woodinville, WA. Sunday, August 31st. I just wanted to post a quick taste of some of the wonderful pictures captured during Amy and Jonathan’s special day. The photo at the top of the blog is from their ceremony under the trees at the winery. The cake was specially ordered to commemorate the meeting of Amy and Jonathan on a skiing outing on Crystal Mountain. It tasted very good too. 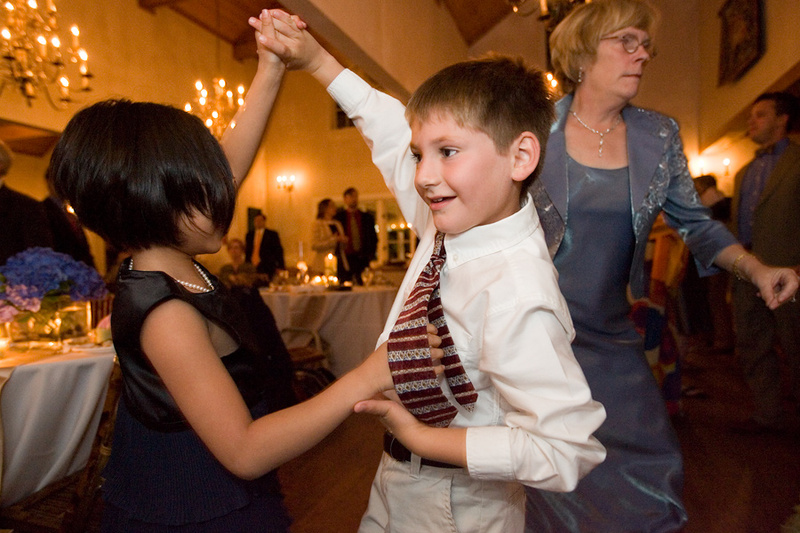 Their first dance was a waltz which dazzled everyone in attendance it was so well practiced. 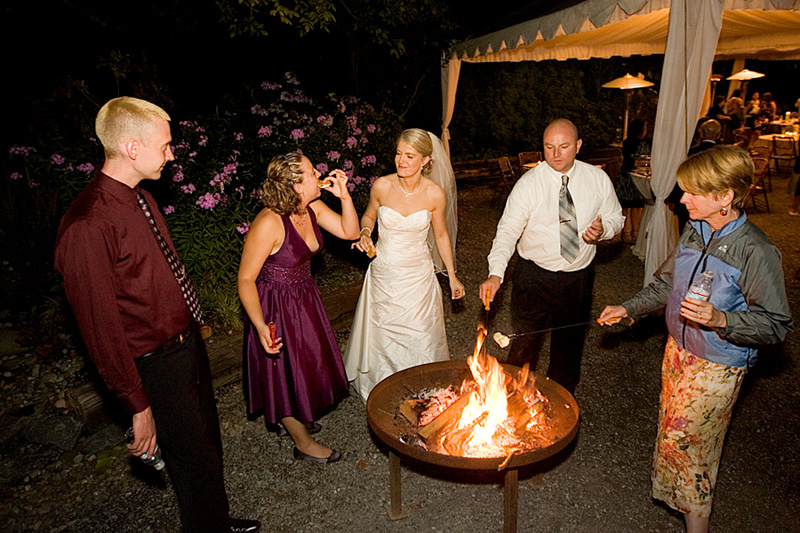 The Smores were a big treat for people during breaks from the dance floor. Wedding Planner Kelly Simants of Sweet Pea Events coordinated the event which went off without a hitch. Spiritborne Videography captured the wedding on video and the DJ and sound system was by Emerald City Productions. The catering was done by Seasoned In Seattle and the food was delicious. Photographer and old friend Paul Joseph Brown and I again worked another great wedding together. Another photograph from the wedding of Amy Arnold and Jonathan Keljo at DeLille Cellars and their beautiful grounds in Woodinville, WA. Sunday, August 31st. Daniel Sheehan is a Seattle and San Francisco wedding photographer and the owner and principal photographer at A Beautiful Day Photography in Seattle, WA. Daniel Sheehan does wedding photography in an artistic, editorial fashion with classic photojournalistic style and specializes in making large group wedding panoramas and in traveling to international destination weddings. He is an international award winning member of the Wedding Photojournalist Association (WPJA).